Temple Emanu-el has a strong music tradition. 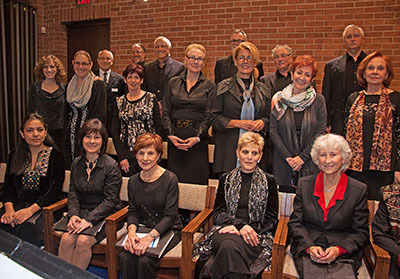 Our volunteer choir of 15 members and growing, led by Judy Gershon, has been active since the Temple’s inception. Their impressive repertoire includes Jewish liturgical, Ladino and Israeli music composed by European, American and contemporary Canadian composers. 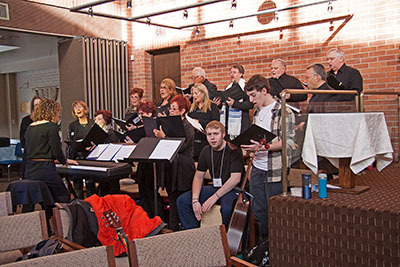 The choir participates in services on High Holidays, Festivals and presents special Erev Shabbat musical programs. Our religious school curriculum also has a strong musical component, which will be further enhanced in the coming years. If you are interested in learning more about our musical programs or joining our choir, kindly contact Judy Gershon or call the Temple at 416-449-3880.